School of Medicine Dean Steven Kanter, M.D., announced that Sara Gardner, M.D., associate professor and director of the Internal Medicine-Pediatrics residency program, has been appointed assistant dean for Graduate Medical Education. Dr. Gardner will work directly with the associate dean for Graduate Medical Education in interacting with the school’s Accreditation Council for Graduate Medical Education (ACGME) and non-ACGME programs, residents and fellows. She will be responsible for quality improvement of graduate programs and providing faculty development opportunities to enhance the educational experience for residents and fellows. She brings important qualifications to this new role, with leadership experience in Graduate Medical Education, teaching and mentoring. Dr. Gardner has experience in the ACGME review process, having served as residency program director since 2009, and as associate program director in 2007 and 2008. She also serves as a member of the Graduate Medical Education Committee. She has chaired the School of Medicine’s Council on Evaluation, served as a Years’ 1 and 2 Docent, and has been a member of many School of Medicine, Internal Medicine, and Pediatrics residency committees. A 2002 graduate of the UMKC School of Medicine, Dr. Gardner completed her residency and served as chief resident in internal medicine and pediatrics at UMKC. Please join Dean Kanter in congratulating Dr. Gardner and welcoming her to this important new role at the School of Medicine. The Accreditation Council for Graduate Medical Education (ACGME) has appointed Paul Dowling, M.D., associate professor of pediatrics and long-time director of allergy and immunology training, to serve on its Review Committee for Allergy and Immunology. Dowling has served as a member of the School of Medicine faculty since 1998. He is a long-time member of the school’s Graduate Medical Education Committee. A graduate of Albany Medical College, Dowling completed his pediatrics residency at Hurley Medical Center, Michigan State University. He specializes in allergic rhinitis, asthma, and food and drug allergies. The ACGME oversees accreditation of about 9,600 residency and fellowship programs at nearly 700 institutions throughout the United States. Accreditation assures programs and sponsoring institutions meet quality standards for their particular specialty or subspecialty practice. 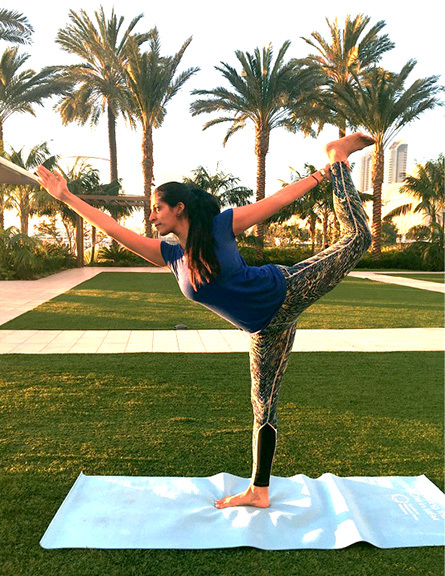 Shilpa Babbar, M.D., a second-year fellow in the School of Medicine’s Maternal-Fetal Medicine Fellowship program, taught yoga classes when she wasn’t busy with meetings at the Society of Maternal-Fetal Medicine meetings in San Diego this past February. Shilpa Babbar, M.D., has her own way of coping with the stress of being a second-year maternal-fetal medicine fellow in the School of Medicine program. Babbar doesn’t just practice it herself. She’s also a registered yoga instructor and volunteered to teach yoga classes for her maternal-fetal medicine colleagues in February at the 35th annual Society of Maternal-Fetal Medicine meetings in San Diego. Babbar taught yoga classes twice daily to 99 of the more than 2,000 physicians attending the medical conference. Babbar led the group in practicing yoga postures, while watching the sun rise and set on the hotel lawn. Participants received personalized yoga mats and carrying cases and, in turn, the classes raised more than $4,000 for the Society of Maternal-Fetal Medicine. A portion of the proceeds also went to the Pregnancy Foundation, which supports development of research and clinical skills in maternal-fetal medicine. Babbar said she thought the classes were well received and the meeting organizers hope to offer yoga classes at the organization’s future meetings. The School of Medicine has announced the appointment of Christine Sullivan, M.D., F.A.C.E.P., ’85, as associate dean for Graduate Medical Education. Sullivan began assuming her new duties following her appointment in April and will fully transition into the role on July 1. Sullivan, an associate professor of emergency medicine, has served as program director of the UMKC Emergency Medicine Residency program since 2004. Sullivan said that as associate dean she would serve as an advocate for the more than 500 residents and fellows in the School of Medicine’s 13 core residency and 30 fellowship programs. Sullivan succeeds Jill Moormeier, M.D., professor of medicine, who was recently named chair of the Department of Medicine at the School and Truman Medical Center. Sullivan said that as residency program director, she had witnessed first-hand the foundation Moormeier has set to enhance the learning environment in the School’s Graduate Medical Education programs and that one of her goals is to continue building on that. After earning her medical degree from the School of Medicine, Sullivan completed her emergency medicine residency at Truman Medical Center. She worked at Overland Park Regional Medical Center, St. Joseph Medical Center and the University of Kansas Medical Center prior to returning to UMKC in 2003. 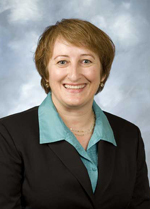 She currently serves on the Graduate Medical Education Council, Faculty Development Committee, and the Initial Academic Appointment and Physician Promotion Committee for the School of Medicine and will begin a two-year term as vice chair of the national Residency Review Committee for Emergency Medicine this July.